Dr. Morris Bullock, author of Science Perspective article. 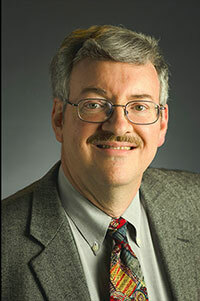 Congratulations to Dr. Morris Bullock, Pacific Northwest National Laboratory, on having his Perspective article appear in the November 29 issue of Science, a highly respected journal published by the American Association for the Advancement of Science. A Perspective is an invited opinion piece that covers recent findings. In his article, Bullock discusses advances in using iron and other earth-abundant metals for catalysts in organic synthesis and other applications. These metals are needed to replace precious metals, such as ruthenium and platinum, which present cost and toxicity challenges. Bullock discusses three recent studies that describe iron or cobalt catalysts with impressive activities and selectivities, comparable to, or exceeding, conventional precious metal catalysts. Bullock was asked to share his opinion with the approximately one million people who read Science because of his research on catalysis and his leadership of the Center for Molecular Electrocatalysis, an Energy Frontier Research Center funded by the U.S. Department of Energy, Office of Science, Basic Energy Sciences. With an impressive track record of writing journal articles, editing a recent book on catalysis, and a host of invited talks, Bullock has been honored by his colleagues in the United States and abroad. He is a Fellow of the Royal Society of Chemistry and American Chemical Society. He also received the Royal Society of Chemistry's Homogeneous Catalysis Award in 2013. To read the summary of Bullock's article, go to http://www.sciencemag.org/cgi/content/summary/342/6162/1054?ijkey=cImR5InytDSfE&keytype=ref&siteid=sci. To see the reprint, go to http://www.sciencemag.org/cgi/rapidpdf/342/6162/1054?ijkey=cImR5InytDSfE&keytype=ref&siteid=sci. To read the full text, go to http://www.sciencemag.org/cgi/content/full/342/6162/1054?ijkey=cImR5InytDSfE&keytype=ref&siteid=sci. Using these links, you do not need to go through the Science member login screen.